A famous relic hunter seeks adventurers to help her find caches of treasure hidden by the now defeated followers of the Cult of the Dragon. Her maps and notes may lead the way to great wealth—or a terrible death. And do other parties have designs on the treasure as well? 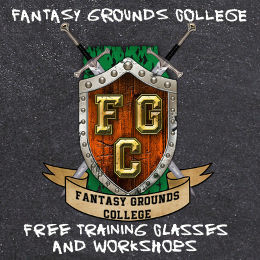 Level 1 Fantasy Grounds characters will be provided for players. This game says 7 to 10 that is WRONG. I have no clue where these times are coming from but the game will be played from 8pm to 11pm Eastern US time. I do not know why my time was changed. I will be here about 30 minutes early at 7:30 PM EDT. The game will take anywhere between two and three hours and I will supply the characters! 2) You mentioned in the event excerpt that it was 8pm EDT (Eastern Daylight Time – GMT -4). 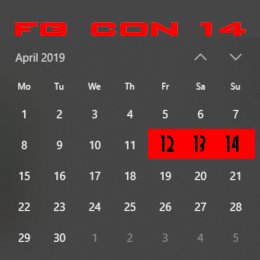 So I changed the time to be midnight GMT/UTC 0 (8pm EDT). 3) You have your time zone set in your profile as America/Eirunepe which is GMT -5 – hence why you see the start time as 7pm. The event is currently posted at 8pm EDT, which (according to your post above) is correct. I presume we can make our own level one characters? Can we bring existing level two characters with AL documentation? Which of the 5 mini-adventures will be offered in this 3 hour session? 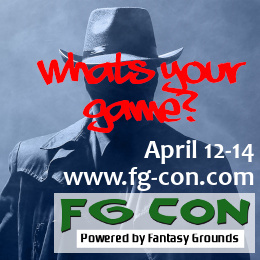 If you would like to make or bring your own FG character for this Adventure League game that is fine. If you do not have a character ready to go than I have several pre-mades that you can use at level 1. I know the DDEX5-1 Adventure is for level 1 or 2 characters but with six folks in this game, I would like to keep the game at level 1. I wish I had this time available……. Digital Dungeon Master is an awesome GM! I watch your videos all the time. Wow, thanks for the kind words Goodmanje! Hello everyone. I just want to let all of you know that I am going to be in the middle of this hurricane here in the next few hours. I expect to be out of power for a while except for the generator I have so I may be quiet for the next several days or so. I will do everything I can to keep in touch with all of you about the game. This is going to be a really bad one, the eye will come closer to my town more than any other so it could be days to let you know. Thanks all for signing up and I will see you on the other side of this. Sounds good William. If someone does not show up then we will get you in. William, also get signup up for the game please to get you on the pending list.